We are big fans of Gravity Forms here at Winwar Media. 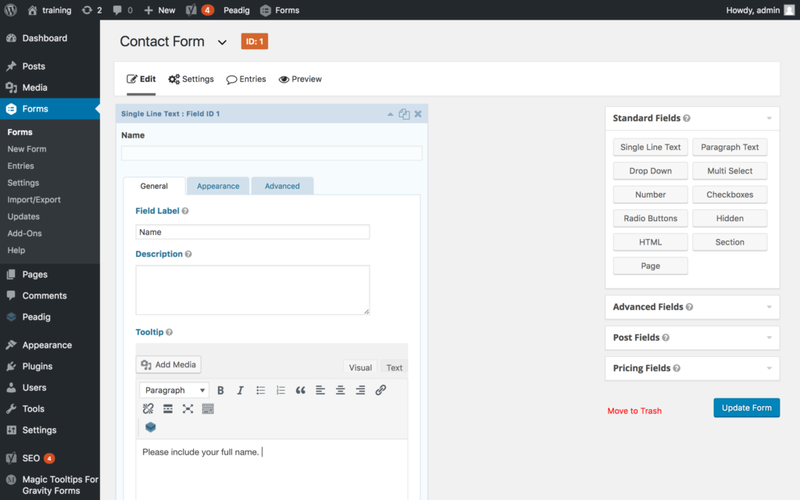 It’s a great plugin that allows you to quickly and easily build forms. But from a developer standpoint, it is a dream. You can extend it so much. We’ve built holiday booking forms, quizzes and even a reddit clone using Gravity Forms. It’s superb. Because it’s a huge plugin with a large number of users and it is well supported, it’s no surprise that various plugins have popped up to improve Gravity Forms even further. 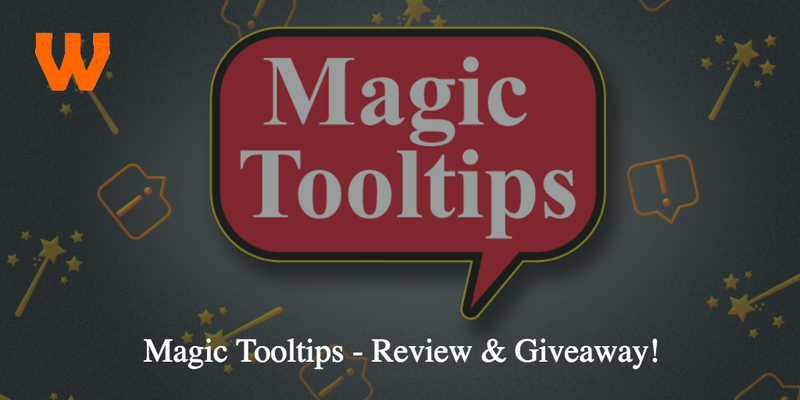 Today we review one such plugin: Magic Tooltips for Gravity Forms. 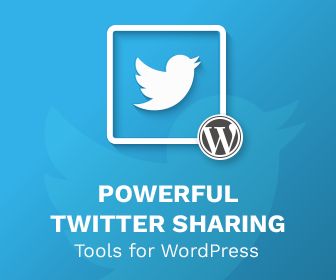 Installing the plugin is a doddle, and follows the simple way to install plugins as per the usual method of installing plugins in WordPress, and a “Magic Tooltips for Gravity Forms” menu item will appear. To begin with you need to set up the plugin. The settings page will allow you to add a licence key, as well as a few options to set up the plugin. These are all fairly straightforward on how you wish to make the tooltip appear. 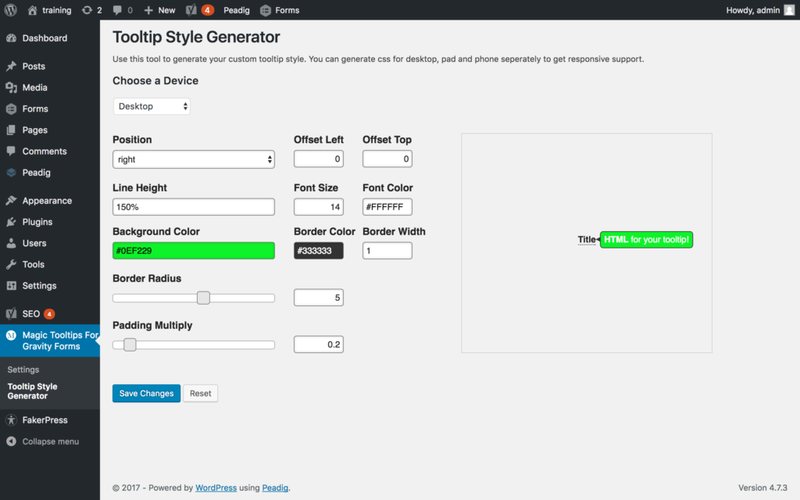 Once set up you can then go to the Style Generator. This is rather impressive. You can style your tooltip however you wish – how you want it to appear, every colour associated with it as well as border, padding and how rounded the colours are. These are updated in realtime and you can see exactly how your tooltip appears. You can choose styles for Desktop, Mobile or Tablet layout, but I wish there was a way of styling each form’s tooltips differently. Now when you go to your form in Gravity Forms you will see associated with many fields a “Tooltip” rich text editor. Simply write your tooltip in there and save your form, and your tooltip will appear on the front end of your form. The rich text editor can be enabled or disabled as you wish, maybe if I’m nitpicking I wish the box was slightly smaller. Being a rich text editor of course you can add images and links, and all sorts of other information. This is useful for tooltips as you can point out various items, or links for further information. There is very little wrong with this plugin, it does exactly what it says, and really it’s only nitpicking problems. The tooltips box is rather big and imposing, so could be a bit smaller. Furthermore, the UX is a bit confusing – when reviewing the plugin I expected it to be placed in the Gravity Forms menu, rather than have it’s own main menu item, and I wasn’t sure exactly what some of the options do, as they need to be explained better. However overall it’s nitpicking. In conclusion, Magic a simple plugin that does one thing and does one thing and does one thing well. Furthermore, rather impressively it offers phone support if you are in the US. So that is a unique selling point. It’s $19.95 for a single domain licence that will be valid for minor releases, or $39.95 for a lifetime, unlimited usage licence. For those terms it’s a steal. When I created tooltips manually in Gravity Forms it took me well over 2 hours. My hourly rate is more than $19.95, and using this plugin it took me about 15 minutes. If you need Tooltips for Gravity Forms, you can do much worse than Magic Tooltips. We previously ran a competition to win a licence. It’s now closed. As far as a plugin goes, Magic Tooltips for Gravity Forms is a perfect plugin. It does one thing and one thing well. 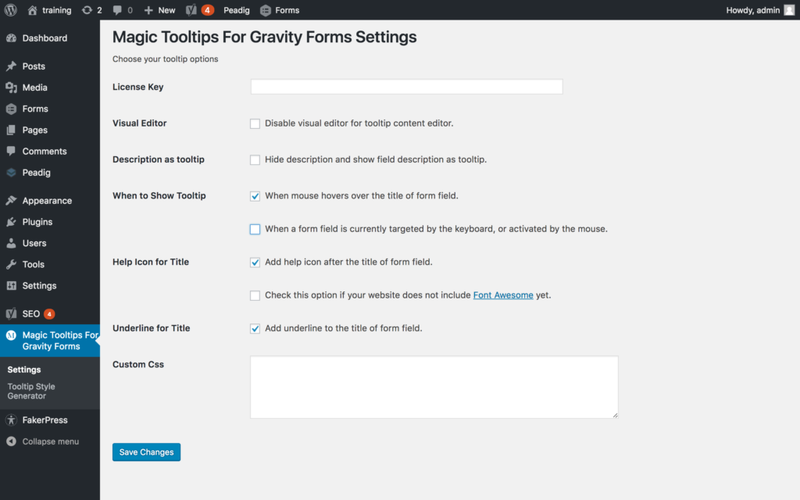 If you want to add tooltips to your Gravity Forms, this plugin can add them for you without any code. It’s UX is not perfect, and can be confusing, however once you get your head around it, it’s simple interface can make you add Tooltips to all your Gravity Forms quickly and easily. 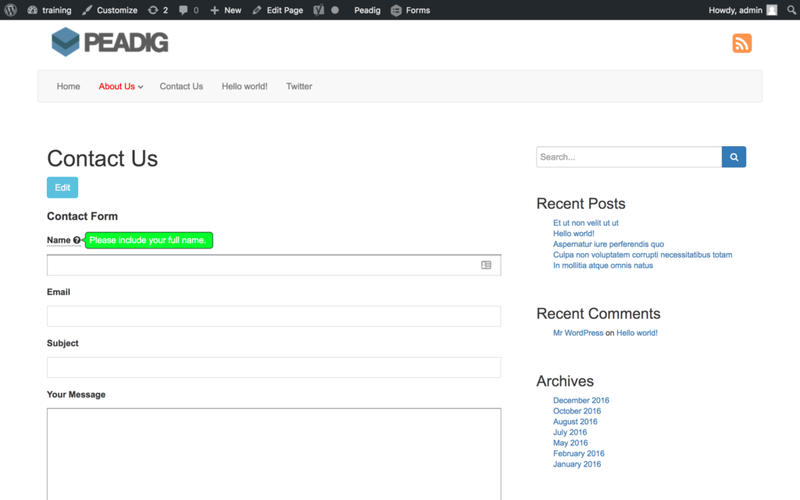 Gravity form is a great form plugin for WordPress. Clustering each field with a description of what each form field does quite frankly make a form wordy and crowded. Using a tooltip alternatively solves this problem and your Tooltip extension is a nice addition to gravity form.